Click here to listen to Shirley Jahad's NPR/KPCC news story on the How We Live project and exhibit. Ani with her favorite doll & her father Senik. 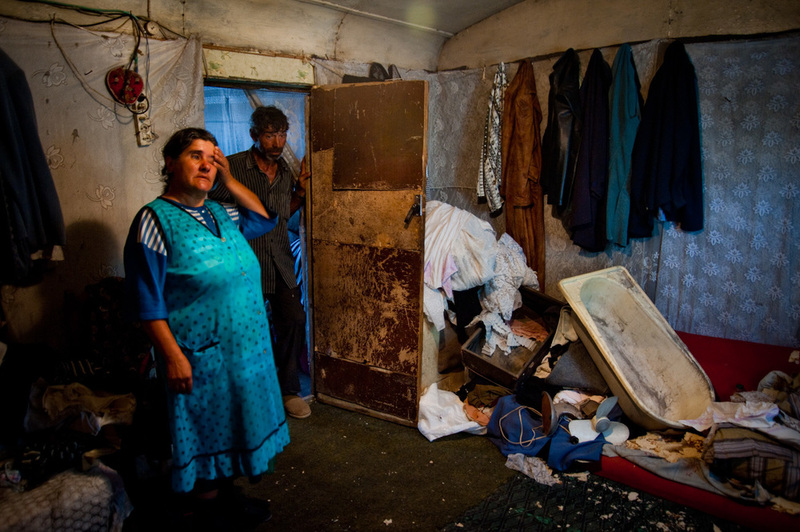 Their 6-member household lives in this two room shack in Geghard village where water freezes inside during the winter. Narine with the accordion she once played as a girl. With her 4 children, she escaped an abusive, alcoholic husband who regularly beat and raped her. The family now lives in this dilapidated house in Arinch village. Grigor supports his wife and three children by rummaging daily in this garbage dump near Etchmiatzin for items to sell or to burn for fuel. Where Gohar bathes. 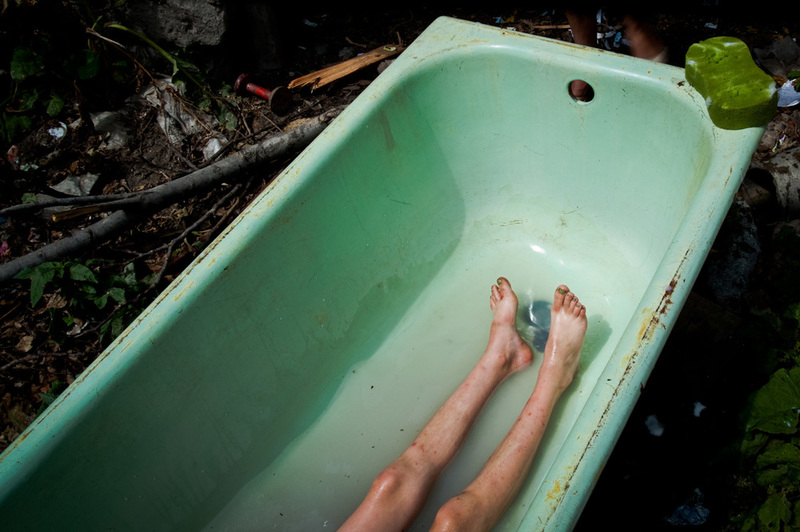 All bathing and washing is done outdoors in this tub for the five-member family in Arinch village as they do not have a bathroom. Ruzana is a single mother and has lived in this tin shack in Nubarashen since 1992, today she lives there with her 4 children. There is no running water, no bathroom, and for the first 12 years, the family had no electricity. 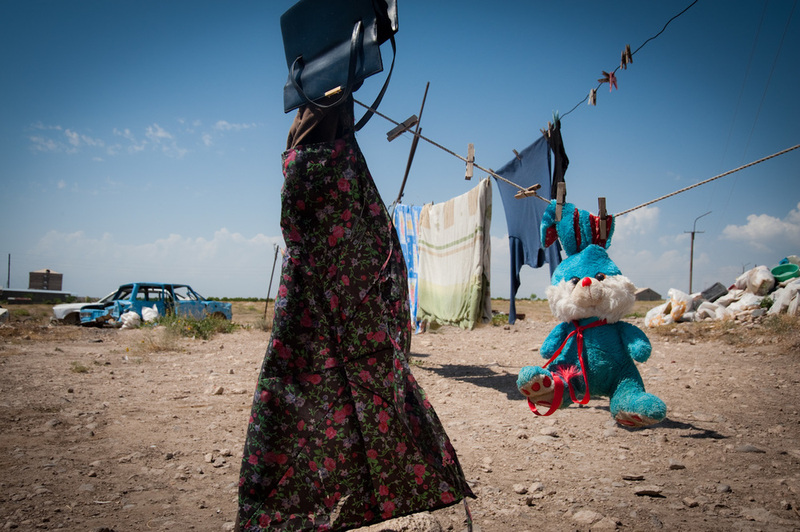 A single mother, Ruzana and her children scavenge in garbage dumps near their shack in Nubarashen to collect plastics, metals, and glass to sell for food money. Ruzana's shack in Nubarashen is filled with religious icons, books and artwork. "When I am searching in the garbage dump and come across religious items, I have to bring them home, I cannot leave them there." She explained. 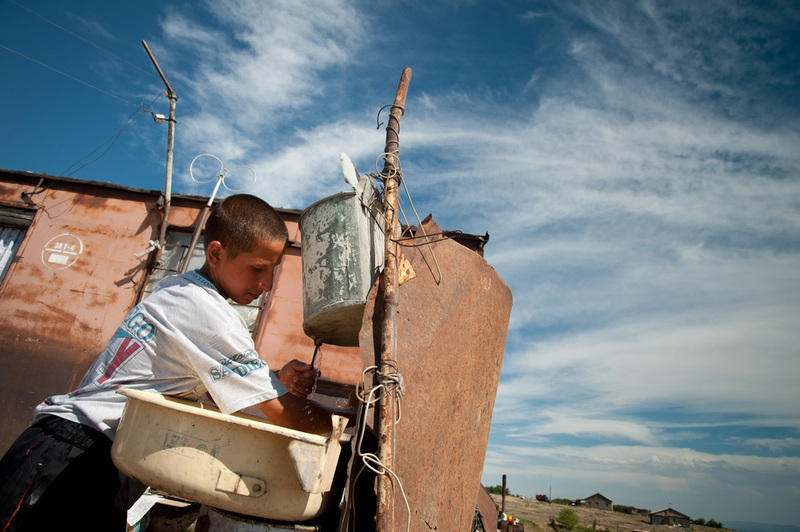 The nearest water source for Ruzana and her children is a one-hour roundtrip walk from their shack in Nubarashen. A journey the four children take turns making daily. Ruzana and her 4 children live in a shack located in an open field close to the border with Turkey with a view of Mount Ararat. "We live in the middle of nowhere. If we scream, will anyone hear our voice?" She asked. Discarded cars near his shack are Nver's playground. He is Ruzana's eldest and was born with down syndrome. 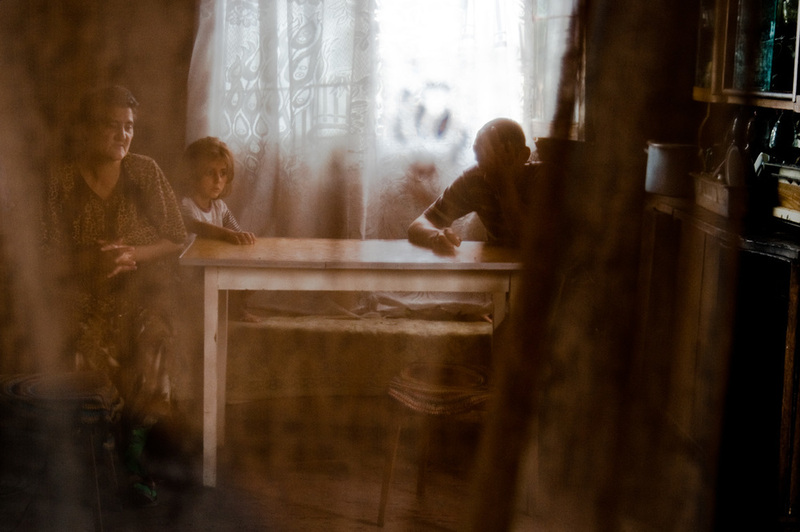 Children with disabilities are often given to orphanages in Armenia. Despite their difficult life, Ruzana chose to keep Nver. 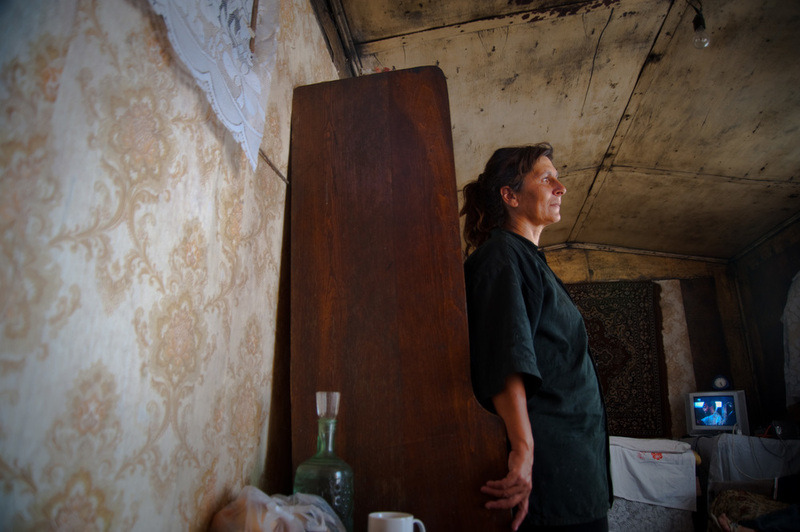 Arthur, Gayane and their 8 children live in this two-room dormitory space in Vartashen. They had 10 children but two died as children - one from a severe case of dysentery and the other from a tragic accident when at home alone. Arthur fought during the Karabakh war. For his service, he received this dormitory room where he lives with his wife and 8 kids. Many former soldiers once celebrated for their heroism now struggle to feed and clothe their families. 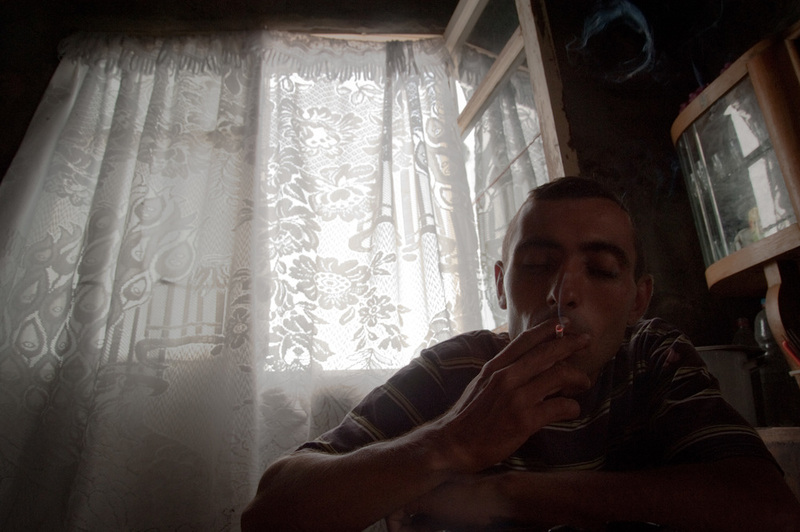 Arsen and his 7 siblings live in a dormitory room in Vardashen. Although the family lives in dire poverty and abortion is an available option, as devout Christians Arthur & Gayane have chosen to keep all the children they have conceived. 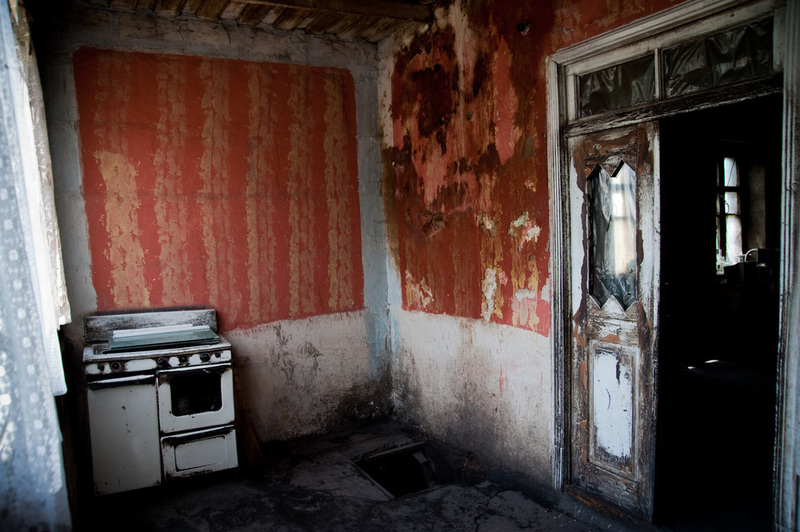 Christina lives with her single mom (who escaped an abusive husband) and 5 siblings in a dilapidated house in Yerevan. 6 months earlier before the family was rescued, they were living in a barn and were extremely malnurished. Christina stopped going to school. Her mother Armine needs her at home to care for her younger sister while Armine searches for work. Nune lives with her 3 children in a run down house in Getap village. Her husband left for Russia and did not return. 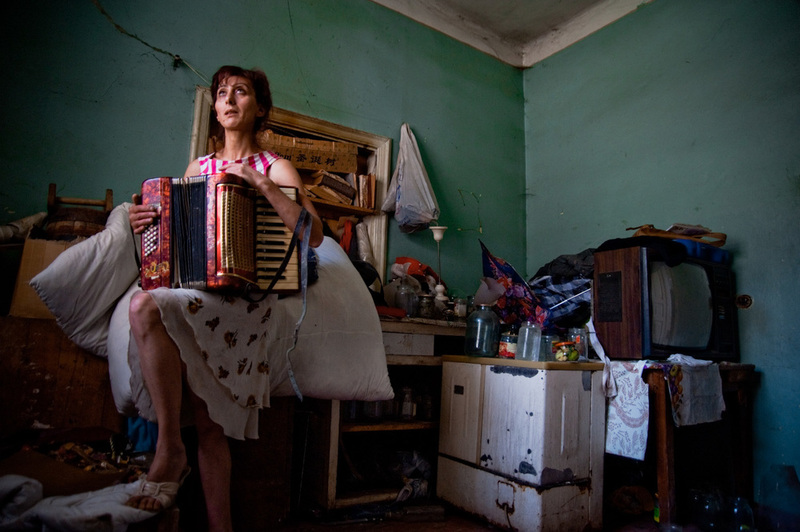 Her eldest son Vova (16) has not attended school in over 2 years because he is the family's primary breadwinner. Nune owns only a stove and three iron bed frames with no mattresses. The walls of the family's home in Getap village have been blackened with soot. They get by on natural light because they cannot pay the electricity bill. 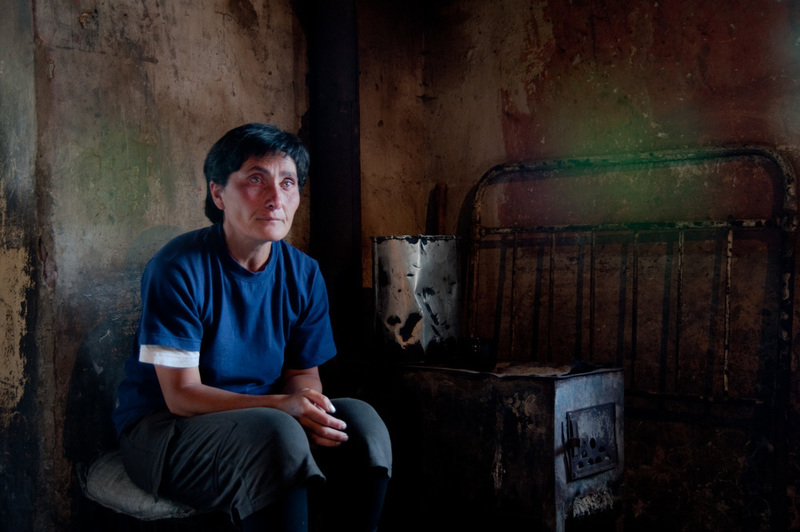 Susanna lives with her husband Arthur and their daughter Anna in a hut made of metal rods wrapped in plastic sheeting and pieces of cloth located in Shahumyan. When it rains, the family wears galoshes inside their home. Susanna and Arthur make their living by trekking several kilometers daily to a garbage dump to find salvageable items to sell. 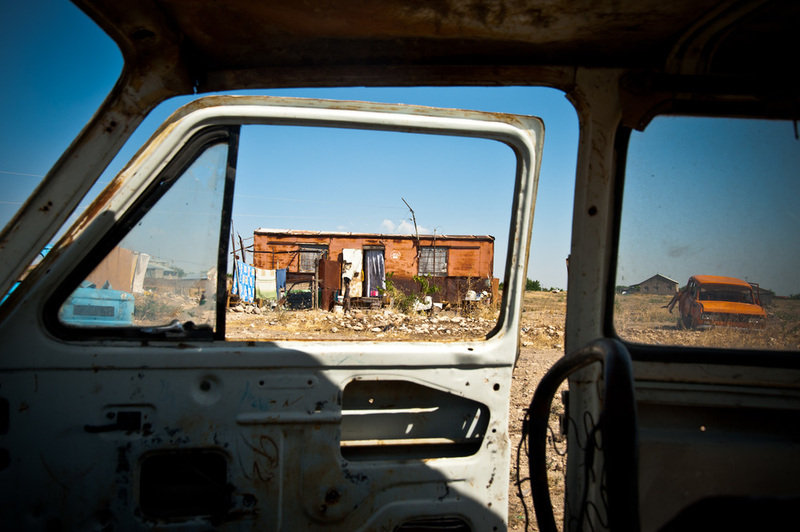 During the winter months when it is difficult to reach the dump, the family has gone hungry for days. Grigor rests at home after a long day at the Shahumyan garbage dump near Etchmiadzin where he scavenges daily alongside other men and their children. He is usually at the dump by 6am when the trucks arrive with fresh garbage. While Grigor scavenges at the dump, his mother Haykush (left) slaughters chickens for a local businessman to earn extra money. Sometimes she brings the leftover chicken heads home for her grandchildren to eat.